Two brothers against an entire Frankenstein army? Sure! What’s the worst that could happen after all, in 1827’s France of this alternate universe? Well, aside from the British Empire being overrun by those reanimated bastards, of course. But with proper strategic effort, good decision-making skills and a smidge of luck, your journey through this thriller of a gamebook just might have a happy ending. Maybe. Now, while the adventure of a lifetime for Tom and Anton does begin with them being allies, there’s no guarantee of it also ending that way in this non-linear story. Oh and time is literally of the essence, as your enemies are constantly growing in strength. Constantly. So less time spent aimlessly roaming those lovely interactive maps means more time fighting, which is an undeniably good thing. See, unlike most other games of this sort, battles are decided through tactical encounters – noticeably more so than simple dice rolling. Groovy. 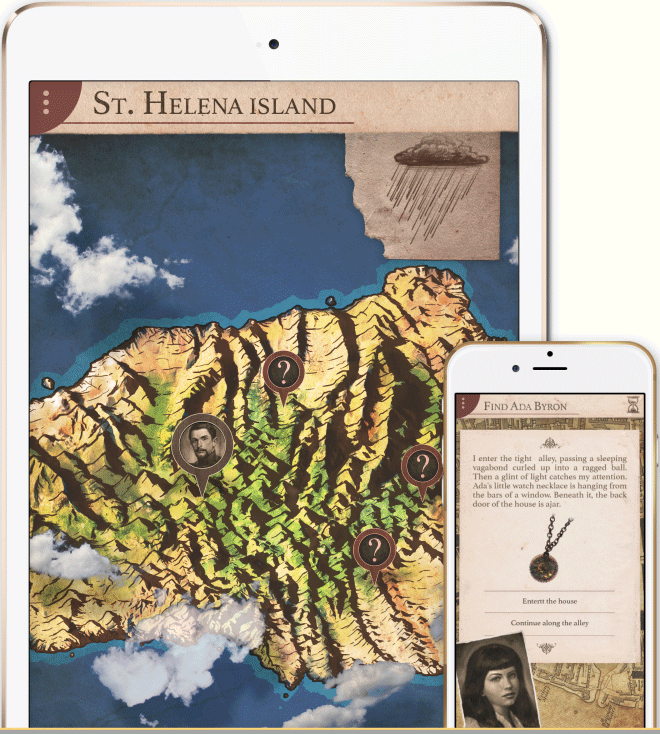 Even if you’re a fan of gamebook apps, you’ve never seen an interactive blockbuster like this. It’s gameplay-meets-story with the sweep and scale of a whole alternate-history universe. And with your help this is only the beginning. But alas, in case you somehow missed the title of this article, there is still the matter of crowdfunding to deal with, before this app becomes a thing. With seven days left at the time of writing and still approximately $4,000 to go, things are not looking good for Cubus Games’ project. That said, a lot can happen in a week and I for one will remain hopeful until the very last second, ready to partake in… The Frankenstein Wars! Here’s to a successful Kickstarter, followed by a (hopefully) glorious gamebook come December 2015, across iOS and Android.